The new teaser poster for The Dark Knight Rises has made its internet debut. Thoughts? 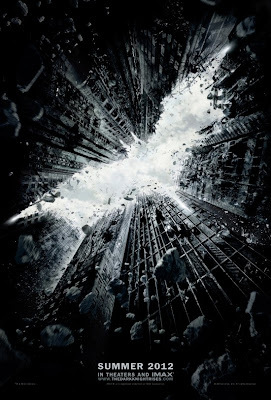 The falling buildings seem to indicate a massive devastation of Gotham City. Perhaps the teaser trailer debuting in front of Harry Potter and the Deathly Hallows Part 2 on Friday will shed some more light on the proceedings.